Because Alex Sas put stickers on many of his LP’s and I didn’t know how to remove them, I asked for advise in an earlier episode of this Soundtrack. Milan told me that he used gas lighter fuel. I bough a can, but that didn’t work. But when I was a the paint store, I had the clarity of mind to ask if they had some product to remove stickers. And of course they had. It is called Sticker Oplosser, and made by Hagesan. ”It does not work on paper” , said the man behind the counter, but I tried and it did. It even works perfectly: you adjust a tiny layer on the sticker with a brush, wait a few minutes, and then you can peel off the sticker with a razor blade, without leaving any trace. The only problem is that the stuff smells so bad that all the neighbours start to complain and I started to have problems breathing. I asked my children do this job, but they ruined some sleeves with the razor blade, so I have to do it myself. I began removing the stickers of all the LP’s that I want to sell. But without the stickers I like the records even more than I already did, so I seriously consider keeping most of them. But since I have no space, I either have to rent a storage space or get rid of some of my other records. And we’re talking about 700 12 inch records and LP’s here. I especially like the compilation LP’s. 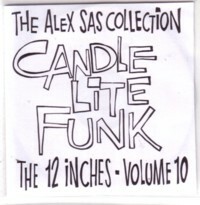 Alex was not only into soul and funk, but also into jazz. And there have been far more compilation LP’s with rare grooves released in the late eighties and early nineties than I was aware of. Depending on your section criteria there are about 20 to 30 of such LP’s in Alex’ collection. 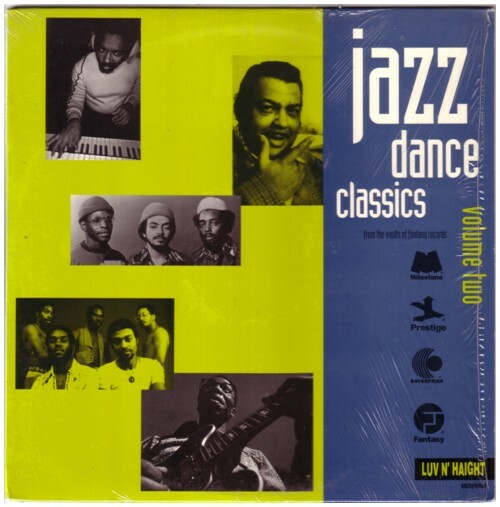 Like this second volume of Jazz Dance Classics , with seventies rarities, released on Luv n’Haight in 1993. I have little hope to ever come across the original 45’s that are compiled on this LP. Take for example this version of Shortnin’bread by The Three Pieces, which I like quite a bit. According to the liner notes, it was recorded by a band of high school students, who took class of Donald Byrd in 1973.